The Memphis Grizzlies defeated the Miami Heat last night 97-95 with a shot by Rudy Gay (over the arms of Lebron James) at the buzzer to snap their five-game losing streak. This is the second time the Grizzlies have beated Lebron James at home. Last year Memphis defeated Lebron’s Cavaliers in overtime. It seems Lebron just can’t win in Memphis! 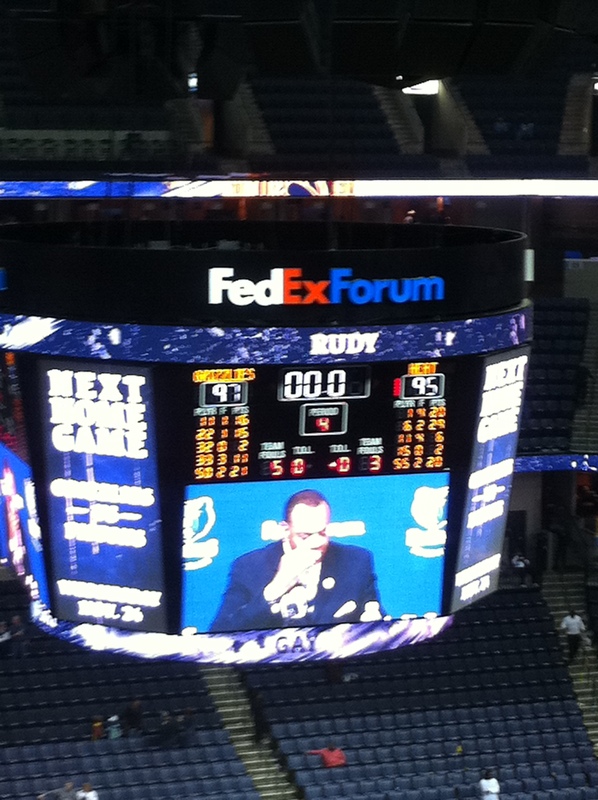 I arrived at FedEx Forum just after 5:30 (tipoff was at 7). 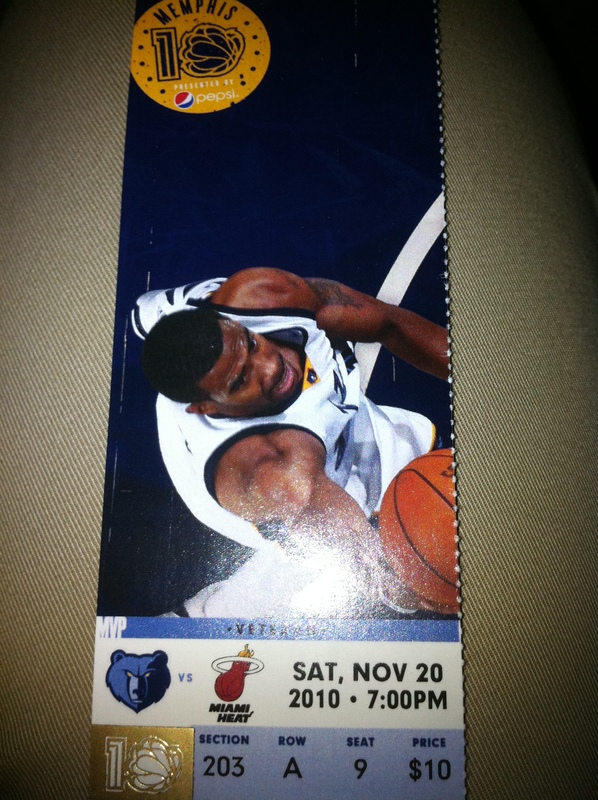 I wanted to get parked early because I knew it was a sellout, and I wanted to get my free Zach Randolph headband. I also needed to exchange a shirt in the store. 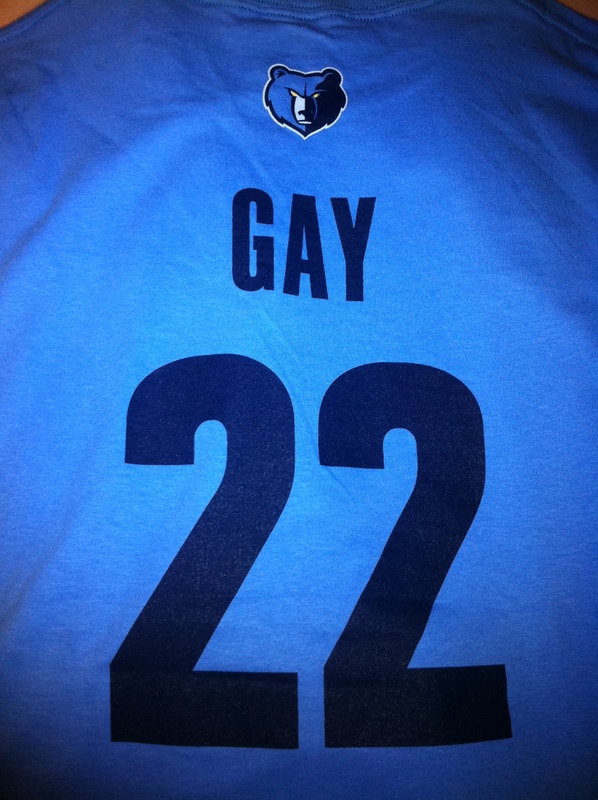 I did exchange my shirt, and I also bought a Rudy Gay tee shirt. Guess I knew this would be Rudy’s night. Rudy Gay has been my favorite player since I started following the Grizzlies last season. He is from Baltimore after all. Gay had 15 points last night, including the winning shot at the buzzer to beat the Heat! Zach Randolph and OJ Mayo did not start because they were late to the mandatory shoot around. 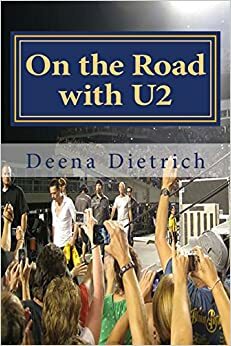 In fact, they didn’t play the entire first quarter. But Randolph still had 21 points and 13 rebounds, as well as a great block of Lebron’s shot at the end of the game. Darrell Arthur had 12 points in the first half. He is becoming one of my favorites. Although Lebron James had 29 points, he wasn’t much of a presence in the first half, but he really was in the second. Memphis led most of the game. 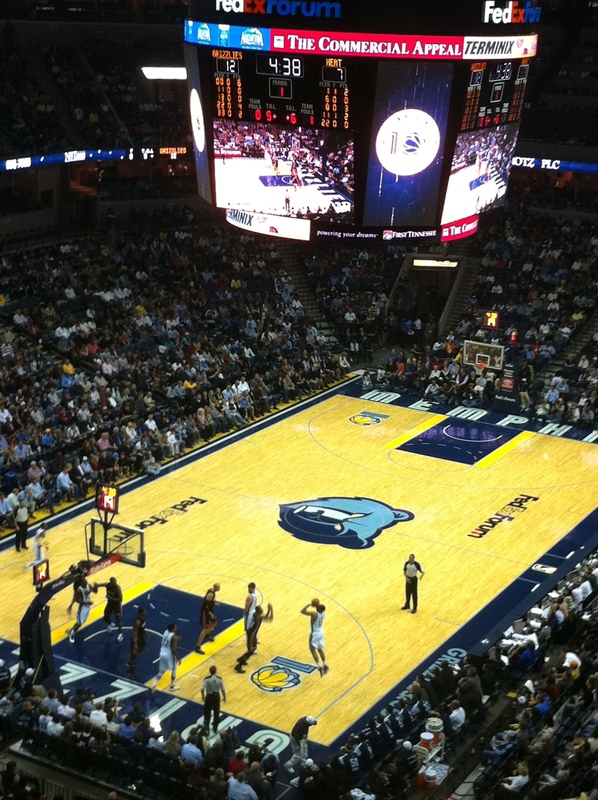 Grizzlies were up by 5 with 30 seconds left, but then Miamia tied it up. Then came RUDY with his buzzer beating shot!!!! Grizzlies defeat the Heat 97-95 and celebrations begin on Beale Street and all over Memphis!